As a uni student, you will soon find a way to get rid of expiring food fast. 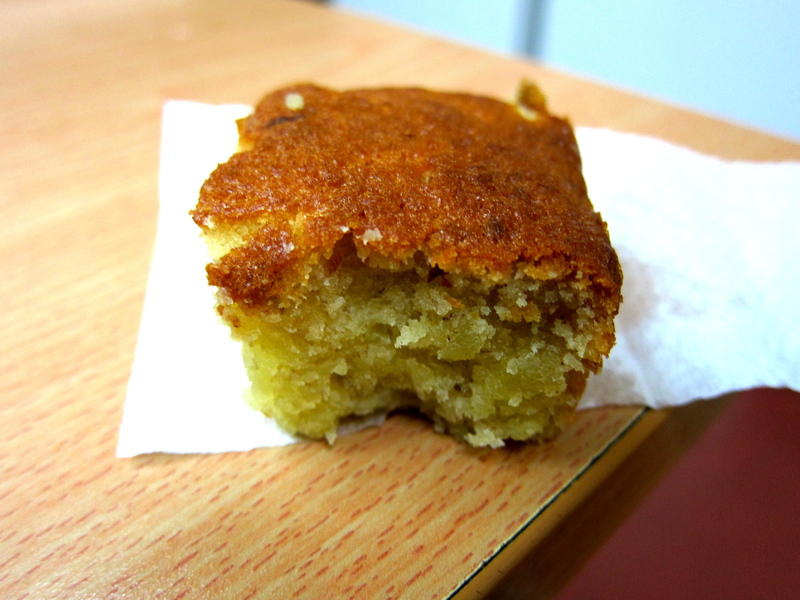 I had bananas, and felt like cake, so banana cake was the way forward. Except I didn’t have the right ingredients, so I searched everywhere online, tried every phrasing on Google, and finally found a quick and easy recipe that only requires 5 ingredients. Yes, 5 ingredients. 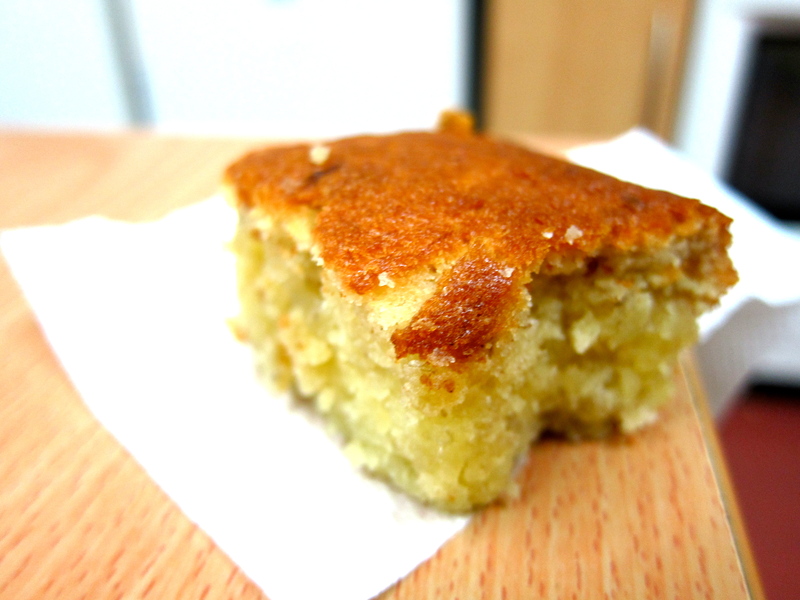 So it was good bye bananas, hello banana pound cake. The recipe asks for quite a lot of ingredients, so I halved it and even then, it made quite a lot; about a 9 inch pan of 2 inch thickness (I really need to learn the sizes of the pans and trays I use). I also added some cinnamon, but definitely not enough because I couldn’t really taste it. 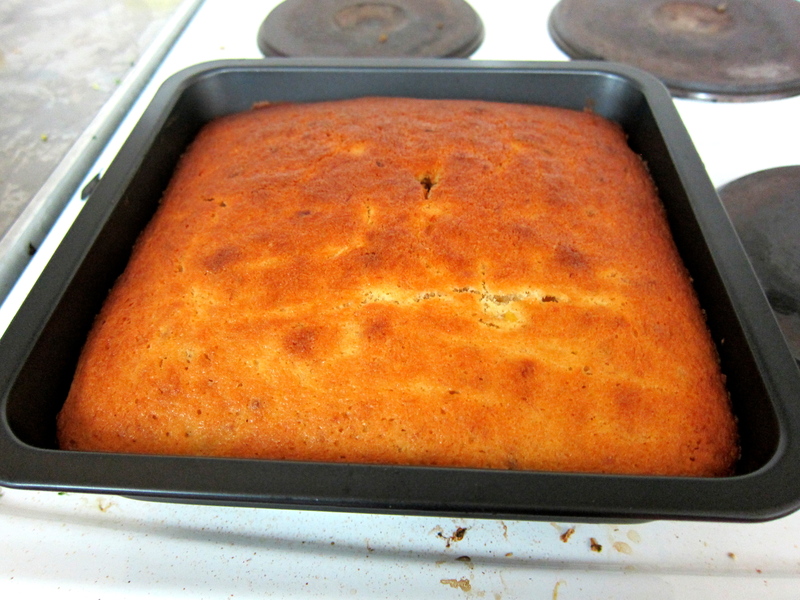 It was quite dense, but thats expected from a pound cake. The banana flavor really came through, and it tasted really good. This is another recipe that I will be using a lot, especially when my bananas get all spotty and mushy. I should’ve used a plate, but I was tired. It was getting late, and I didn’t want to wash extra dishes, so a piece of kitchen towelette had to do.